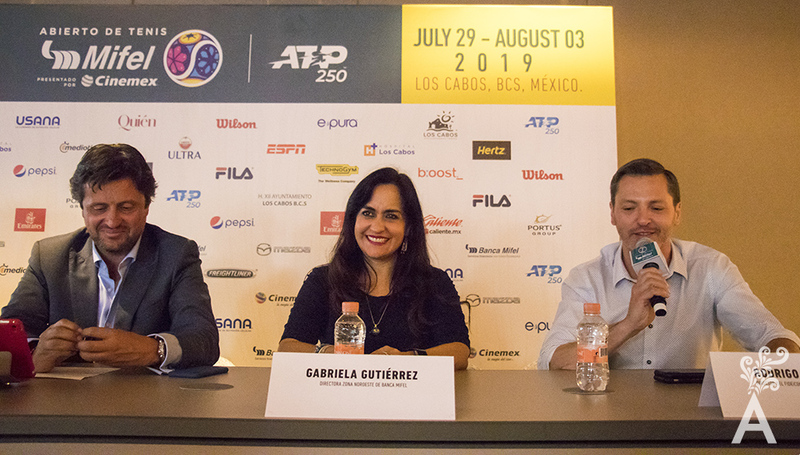 The Abierto de Tenis Los Cabos returns, in its fourth edition, from July 29 to August 03 for locals and tourists to be spectators in a tournament of international stature that directly impacts the positioning of Los Cabos as a sporting and tourism destination. The ATP has positioned itself as one of the favorite events of Los Cabos and, after three consecutive years of success, returns with players like the cherished Feliciano Lopez of Spain, who has the record of most participants in this tournament. Fabio Fognini ranked 13th in the world, and last year’s champion won the hearts of the fans and will return to play for the title. The ATP has positioned itself as one of the favorite events of Los Cabos and, after three consecutive years of success, returns with players as the favorite of many, Feliciano Lopez of Spain who, in turn, has the record of most participants in this tournament. Fabio Fognini, ranked 13th in the world and last year’s champion, won the hearts of the fans and will return to play the title. Diego Schwartzen will be for the first time in Los Cabos currently ranked 24th in the world ranking, and another essential personality of the world of tennis is the charismatic Grigor Dimitrov, from Bulgaria, who was at rest due to an injury and rebounded spectacularly winning the Cincinnati Masters 1000 and the Nitto ATP Finals in 2017. 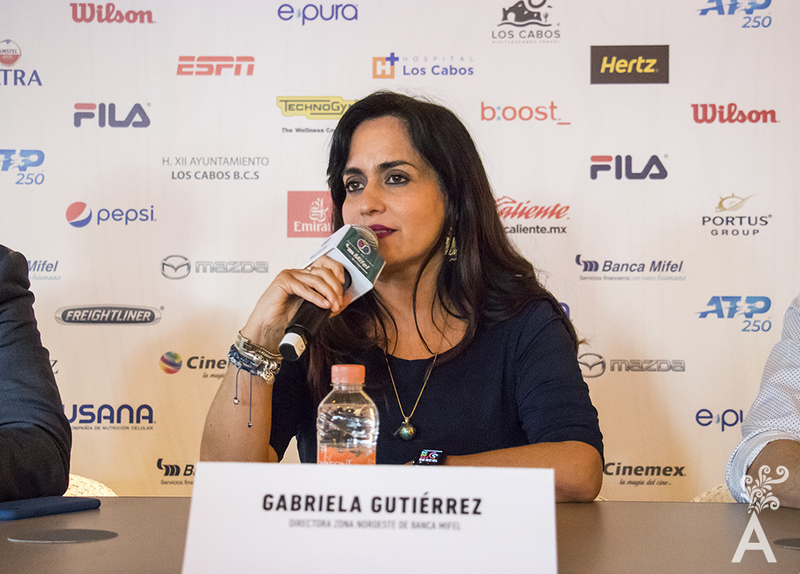 Gabriela Gutiérrez, director of the Mifel banking northwest zone, announced that the contract with the Los Cabos Open has been renewed for another five years and confirms that this type of event drives the economy in the destination in a season that was previously called low, but now, the ATP has contributed to strengthening more Los Cabos. 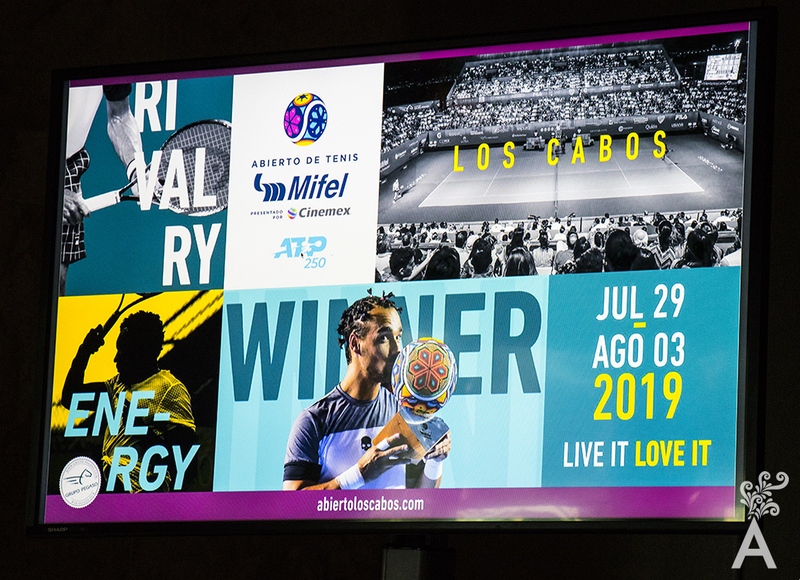 José Antonio Fernández, director of the Mifel Tennis Open presented by Cinemex, revealed the details of this new edition, announcing that its expected to exceed 100 million pesos in the financial outflow, and an average of 25,000 attendees this year. 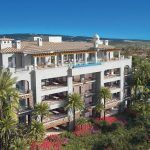 Solaz, A Luxury Collection Resort is the new headquarters hotel of all players! The most incredible venue of the series with spectacular views of the ocean and luxury amenities. Rodrigo Esponda, director of the Fideicomiso de Los Cabos (FITURCA), spoke about the media impact and how this type of events, which are used to promote the destination, make the territory different from other tourist places. For the last time, Delmar International School will host the ATP Los Cabos and will have the same areas as in previous years: courts, commercial space, entertainment where live music takes place every night after a match and a food court with regional cuisine with typical dishes. The grand final will be played on Thursday 01 and Saturday, August 3; Tickets are already on sale in San Jose del Cabo at Koral Concierge and Cabo San Lucas at Delmar International School. 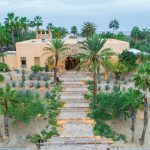 Be part of one of the most important events for Los Cabos! Live the first Mole Festival!